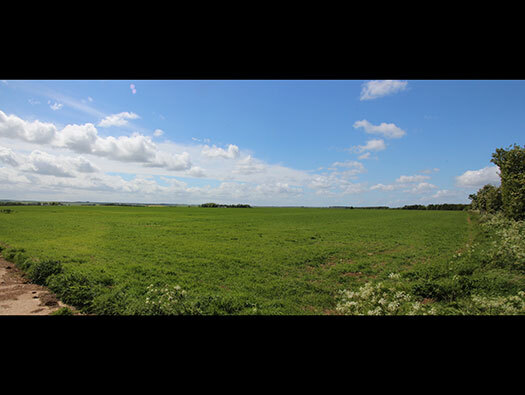 Shrewton RLG, Wiltshire is situated 12 miles North of Salisbury on the old Devizes road. 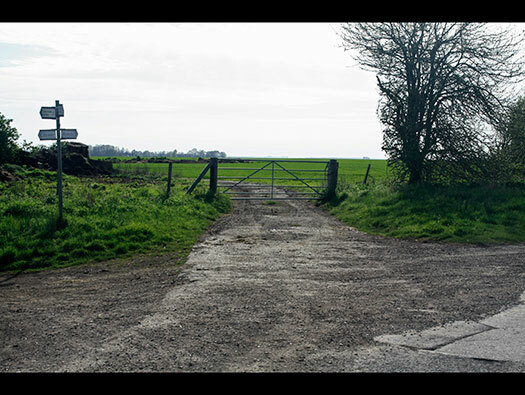 Getting to the cross roads at Rollestone Camp, continue across (North) on the old Devizes road past the Bustard Inn (now a something else??) and turn left. 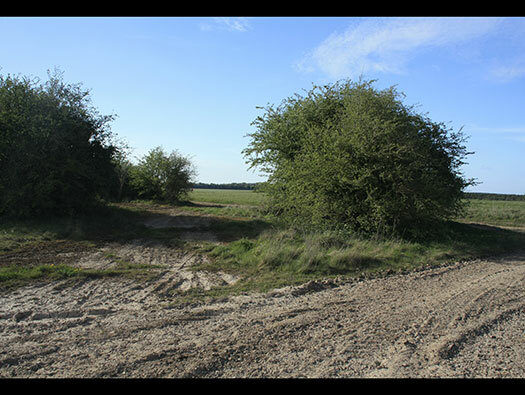 About a quarter of a mile you will see a Pillbox on your right and the RLG is on the left of the road. 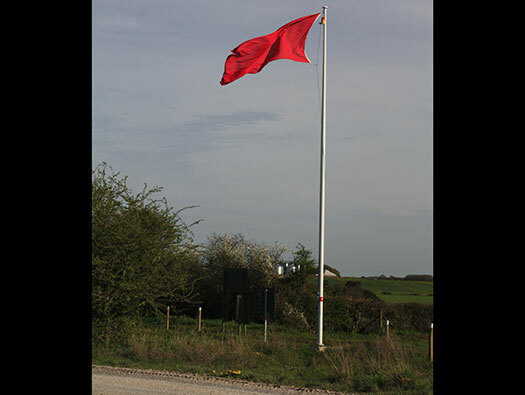 If the red flags are flying you can still visit the airfield BUT stay on the road and south of the red flags. Hawker Hart light bomber at Netheravon of 1SFTS. Hawker Audax Army Cooperation aircraft at Netheravon of 1SFTS..
Hawker Hind were used by 1SFTS. 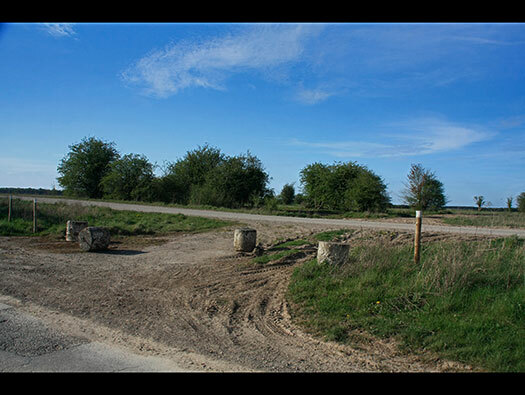 The green line is the road which is accessible even when firing takes place on Salisbury Plain but YOU HAVE TO STAY ON OR SOUTH OF THE ROAD. 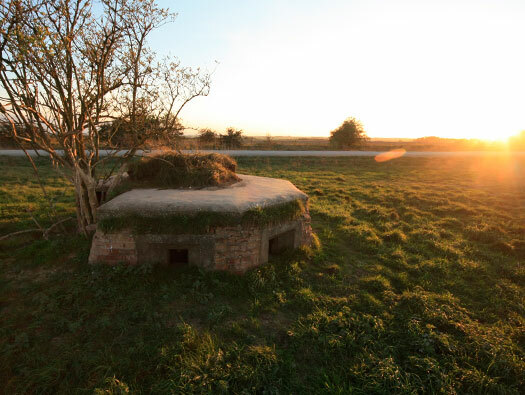 I found all the hut bases, the pillbox defence & concrete hard stand. 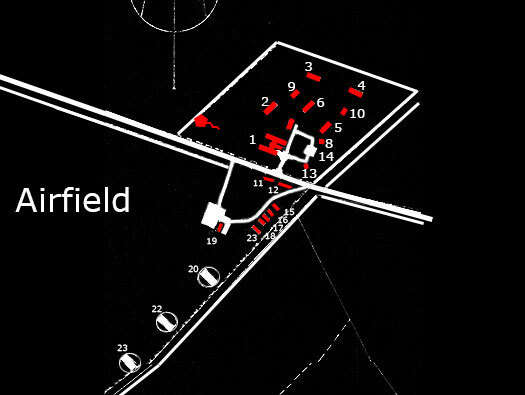 1940 and RAF Netheravon needed a Relief Landing Ground to allow for a higher capacity for training. 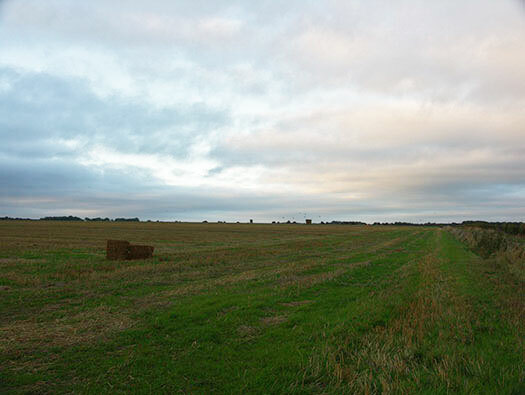 Some fields north of Shrewton village were taken over and with minimal flying aids. 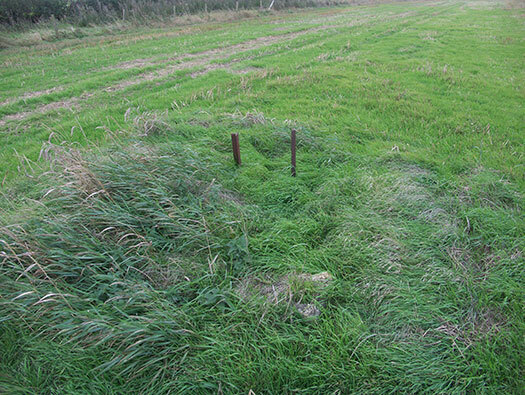 The grass field was used by Harts, Audax and Hind´s. The main entrance onto the airfield a nice concrete road. I have seen some stunning sunsets here as the field drops away towards the west. By 1941 the Hawker aircraft were joined by Fairy Battles. 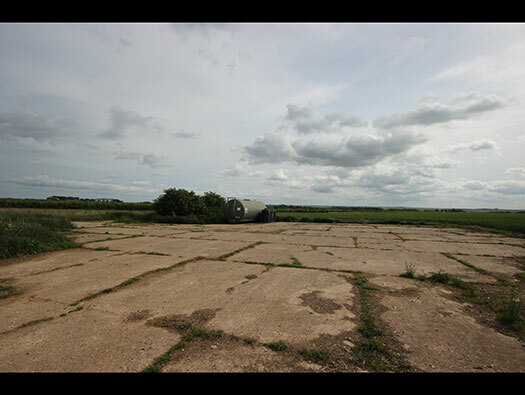 These were used for night flying and Shrewton had a relatively flat field where as Netheravon is a bit up and down. Full night flying aids were used , a Chance light to illuminate the runway and Goose neck flairs to light the flair path. Goose neck flairs, a paraffin tank with a watering can spout. A wick pushed in and filled with paraffin and lit. If it had to be put out a screw cap on a chain attached could be quickly placed over the lighted wick. Without burning your hands. 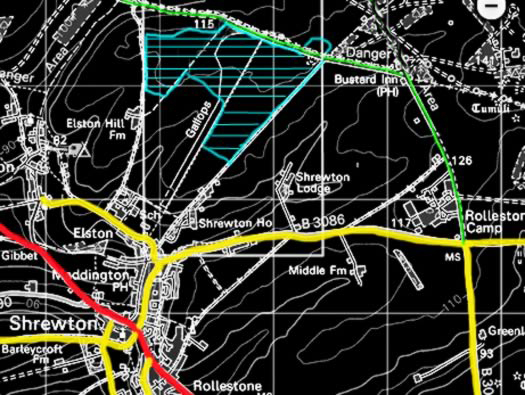 The camp from the 216/45 Record Site Plan. 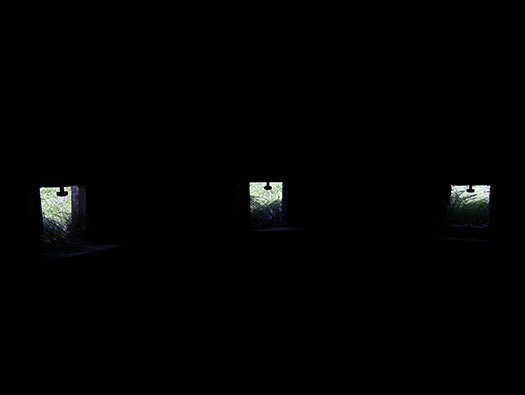 1 -- Combined Dining Room T. Laing using about three 1032/41 huts. For ten Officers & 120 Air Men. 2 to 6 -- Barrack Hut T. Laing 1032/41. 7 -- Airmen´s Shower & Ablutions Block T.B.C. 1032/41. 8 -- Latrine Block " " " " . 9 -- " " & Drying Room " " " " . 10 - " " " " " " " " " . 11 - C.O. Quarters & First Aid Room T. Laing " " . 12 - Airmen´s Barrack Room Guard Room T. Laing " . 13 - Sub Station T.B.C. 1033/41 & D.D.1683/41. 15 - Barrack Hut N.
16 - " " ". 17 - " " ". 19 - Petrol - American Transit Type. 20 - 21 - 22 -- 65´ Blister Hangar´s. 23 - A.M.W.D. Store (Ripers Type Hut 16´x57´) T.
A.M.W.D. -- Air Ministry Works Department. Plan of a Laing hut. A Laing and a Nissen hut. The main entrance with 11 & 12 on the right. The C.O´s. Quarters & First Aid Room T. Laing 1032/41. Airmen´s Barrack Room & Guard Room " " " . 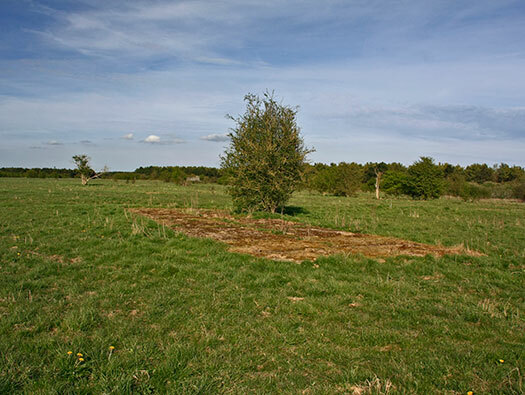 225 Army Cooperation Lysanders used Shrewton at this time whilst their airstrip at Tilshead was being updated. This is 12. 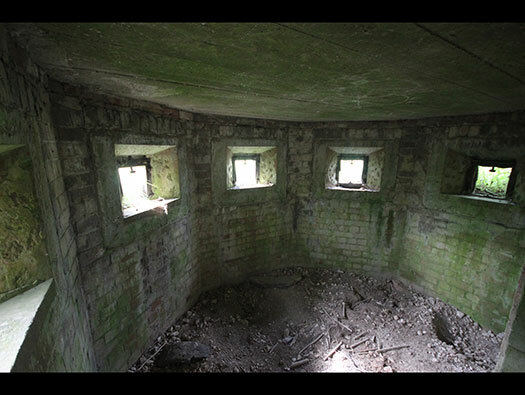 Airmen´s Barrack Room & Guard Room foundations with 11. C.O´s. Quarters & First Aid Room beyond. Looking back up the airfield from where three Blister hangars stood in a line. 1942 1SFTS was disbanded due to most early flying training was now being done in the US, Canada and South Africa. So next to arrive was 296Squadron Glider Exercise Unit with Hawker Hectors and Hotspur gliders. How the three may have looked. All that I found then of the base of one Blister Hangar. These were 65ft Blisters. Framework of a Blister hangar.. 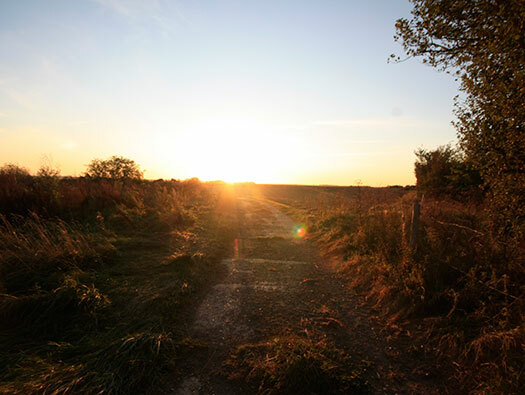 This is the next road onto the airfield and it takes you down to the refuelling platform. Hector & Hotspur combination taking off. 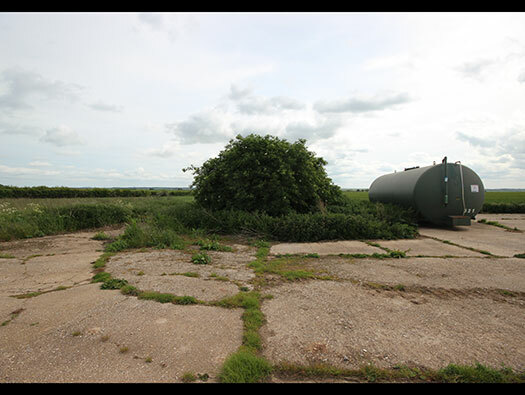 This is where aircraft could be driven onto and refuelled from . 19. Petrol - American Transit Type, 4000gals. This is an American semi-trailer 4,000gal fuel tanker. Another American semi-trailer 4,000gal fuel tanker. This is where aircraft could be driven onto and re fuelled from . The airfield looking South & West. 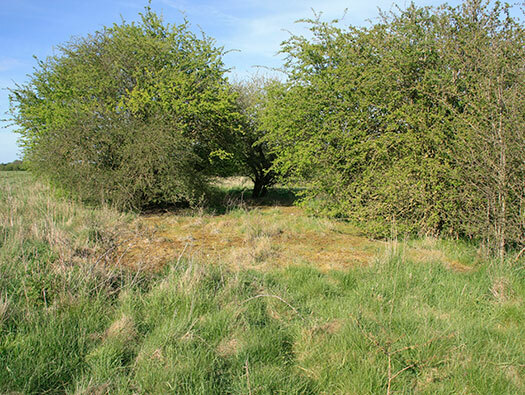 Heavy Glider Conversion Unit was formed here for some unknown reason, then they realised that the grass field was too small for Whitley´s and Horsa combinations. So they quickly moved to RAF Brize Norton. December 1942 Shrewton was handed over to the Air Ministry Works Directorate. 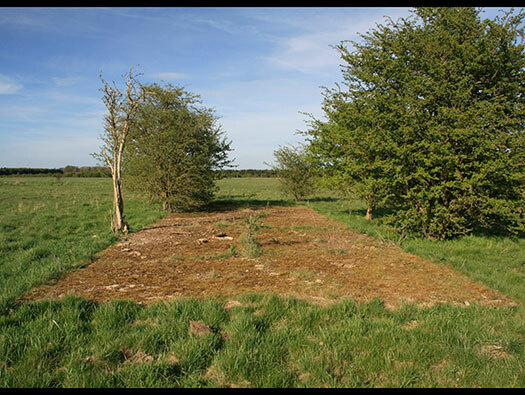 They used Laing´s builders who built the three Blister hangars and several Laing Wooden hutting type 1032/41 in individual huts and in a combination of about four to make the Combined Dining Room for Ten Officers & 120 Airmen. Opened in March as an Emergency Landing Ground. After several units used the new facilities it was re named as a Relief Landing Ground. Tiger Moths of the Glider Pilots Exercise Unit. With the end of the war it went into Care and maintenance with Netheravon as parent. 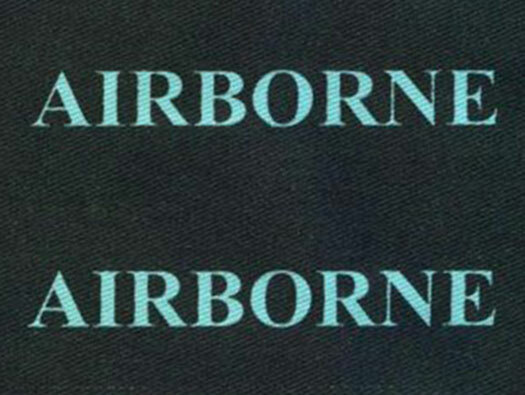 It was occasionally used for a few years by A&AEE Boscombe Down. Plan of an RAF dining room. 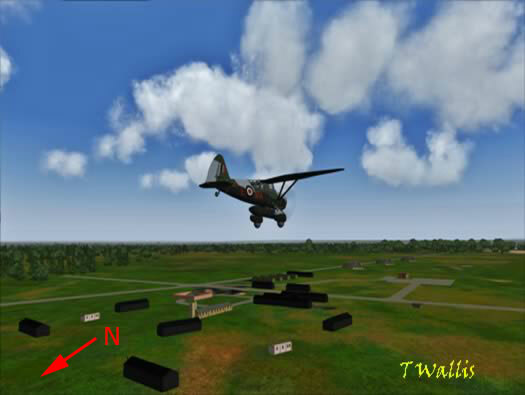 Terries lovely flight Sim of Shrewton giving a very good idea of its layout. 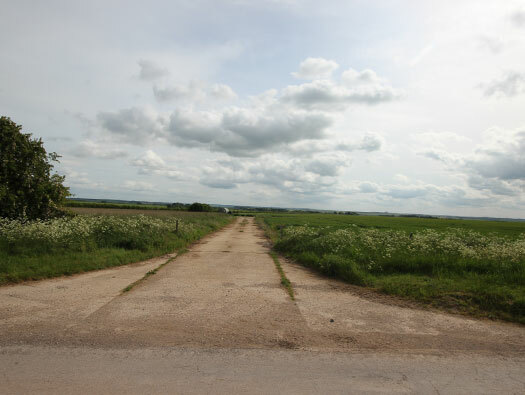 The road I am stood on is the Bustard to Tilshead road and the track is a modern army laid gravel tank track and then across the track is the camp. 1 - Combined Dining Room, 10 Officers and 120 men T. Laing. 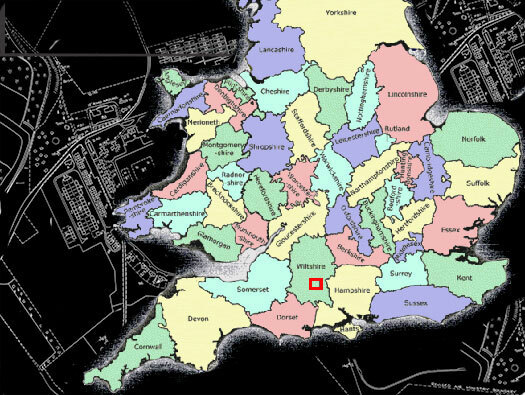 So a E layout of huts to include kitchens to feed all these men. 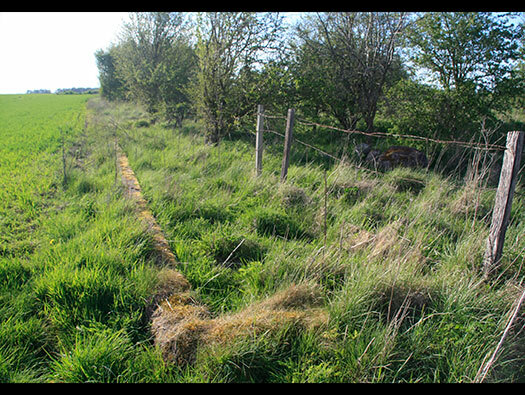 Fuel compound, a square piece of concrete with a low brick wall and wire fence with an entrance each side to allow lorries to drive in , unload and drive out. Inside was stored coal/coke for the heating and cooking a the camp and there was never enough. 1 - Combined Dining Room, 10 Officers and 120 men T. Laing. 5 Barrack Hut T. Laing 1032/41. Timber Laing huts built on a concrete base. They are all still here. 6 Barrack Hut T. Laing 1032/41. Timber Laing huts built on a concrete base. Some had toilets and they can be found still in the concrete bases. 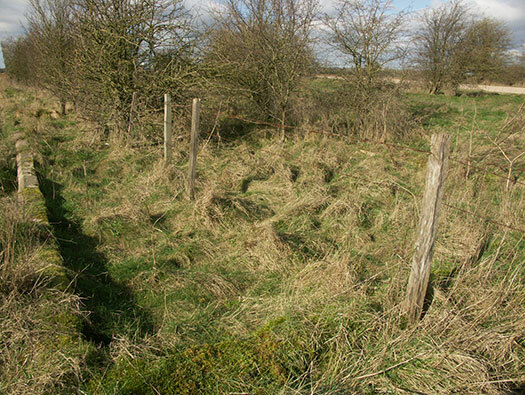 The Pillbox defence a five embrasured FW3/24 type Hexagonal plan form with a long rear wall and a chicane exit. 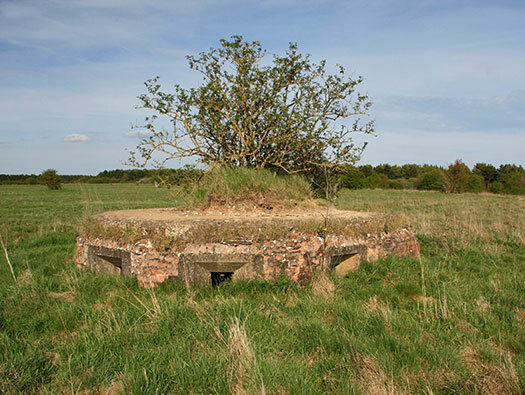 Aerodromes at the time needed to be defended against German para and glider borne troops making a drop on the airfield, so a defence plan was arranged around a battle HQ or in this case a pillbox. This model an FW3/24 type design but has the five embrasures covering the forward 180deg. 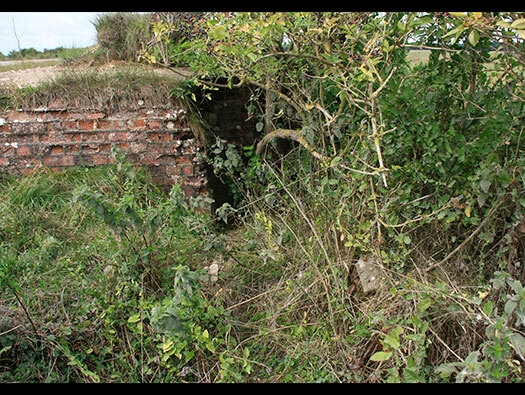 and a flat back wall with an entrance leading out to a Z trench. 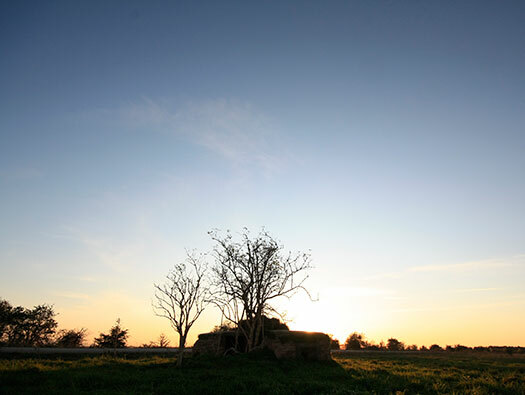 The earth on the top was placed there in wartime and has lasted all these years and still there to act as camouflage. 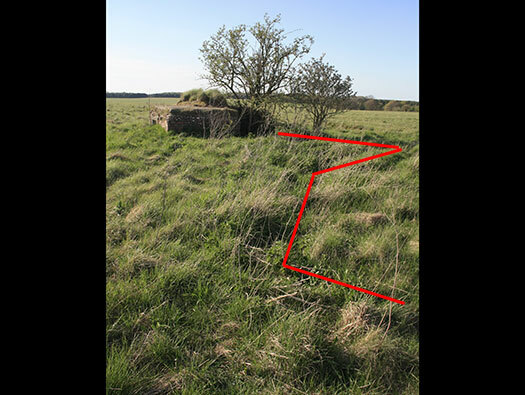 This is a rough plan of the pillbox here. The rear adjusted on this model from a straight out exit to a chicane type leading into a Z trench off to the rear. Inside showing the three main embrasures. 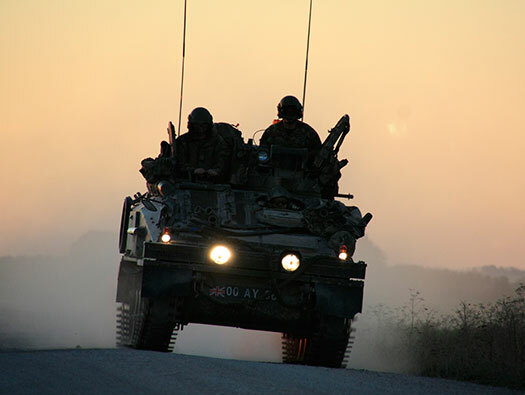 With day light shows that all embrasures were set up for Bren guns. 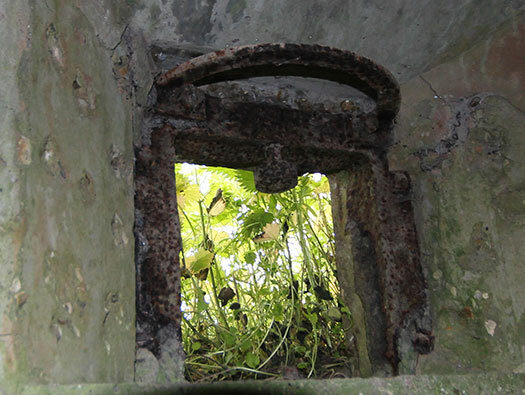 There is no Y shaped anti shrapnel wall placed inside which was fitted to many pillboxes. The noise if five Bren Guns were to all fire at the same time would be almost unbearable. Bren light machine gun embrasure fitting. 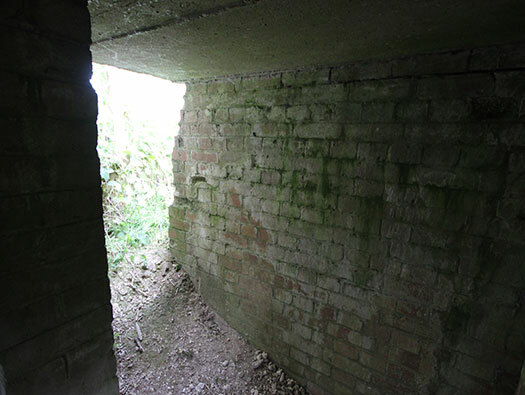 The rear door leading into a trench. 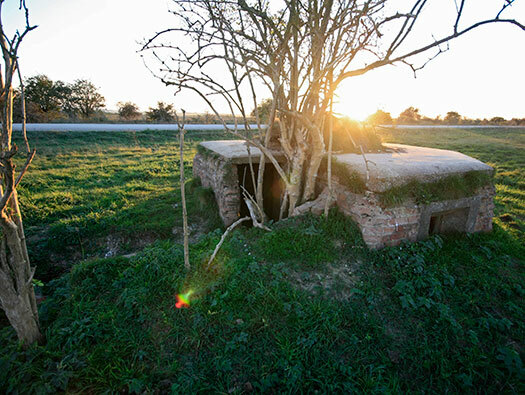 The trench at odd times can be seen even today. 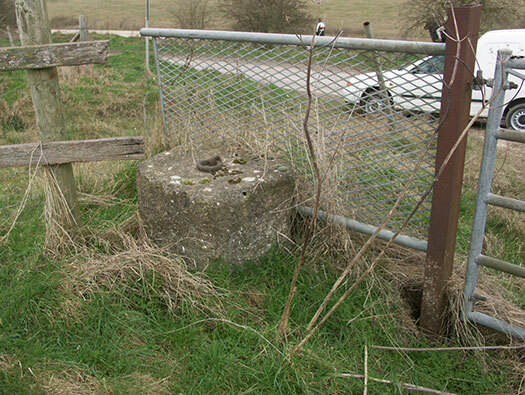 Situated in some scrub land to the west of the airfield is this piece of grating made by Dudley & Dowell 1939 dated as they all seem to be. 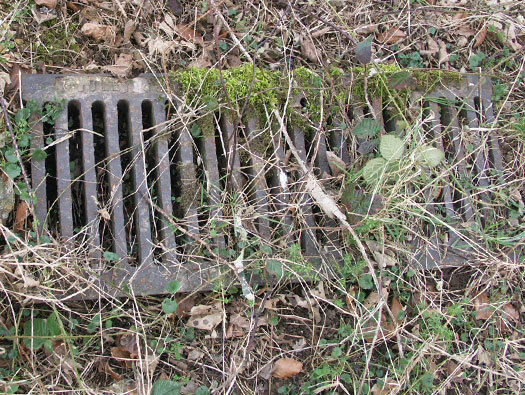 These were used on many airfield runways throughout the country as heavy drain covers and at Weston-Super-Mare they ran the complete length of the runway. Why is it here, I have no idea?? Heavy drain covers at Weston-Super-Mare. Heavy block with a ring on it, so what is that. Its a tie down for an aircraft or glider. 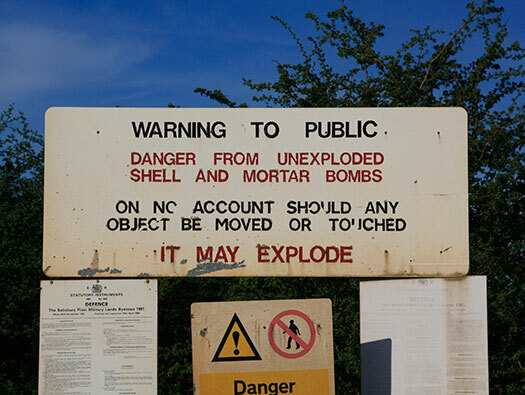 There would have been hundreds of these littering the airfield, when a plane/glider needed to be parked for the night. Two of these , one under each wing and probably one on the tail. Tied on by a piece of rope, would hold it down in some quite moderate winds. 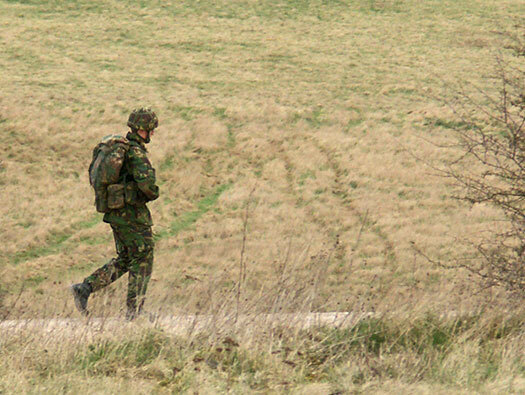 The British soldier before Iraq NATO green.